Extra efforts are needed to better the country’s business environment, but Vietnam is ready to do whatever it takes to overcome low productivity, Deputy Prime Minister Vu Duc Dam said at the International Conference on Substantially Improving the Business Environment to Strengthen Economic Growth, held on March 15 in Hanoi. 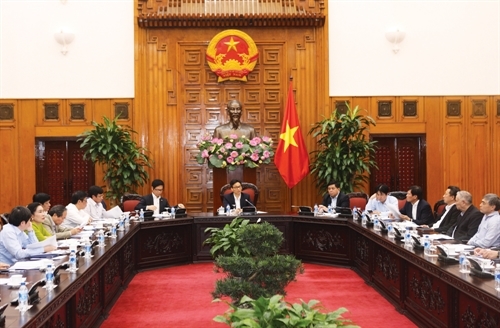 The official hailed achievements across ministries, sectors and localities in improving the business climate over the past year and stressed the importance of restructuring the economy and developing the business environment to a better Vietnam. He said although the country’s place in the global rankings has been upped, its levels of human resources development and labor productivity remained lower than those of other countries in the region and the world. The Government leader asked for close coordination among competent authorities and the business circle. He expressed his hope that international organizations would work with Vietnamese authorities in information sharing in order to make objective and scientific assessments; and hold forums and conferences to improve business environment and competitiveness. Ousmane Dione, World Bank Country Director for Vietnam, said it was very important for all stakeholders to share information to effectively promote reform of the business climate. He suggests the country create a dynamic business sector and a competitive economy with feedback mechanisms and impact assessments. Meanwhile, Catherine Masinde, Practice Manager of the East Africa Region in the Trade and Competitiveness Global Practice of the World Bank group, mentioned four problems that could hold the country back from achieving its business environment development goals. These include the lack of operational goals and detailed action plans at all levels, lack of a transparent and effective interactive system between central and local government agencies, lack of financial incentives in the public sector, and lack of focus on feedback mechanisms and user surveys.